One way geologists identify minerals is through a streak test. A mineral’s streak is the color it leaves behind on an unglazed piece of white porcelain or ceramic tile -- the color that shows is actually the mineral’s crushed powder, and it can be a different color than the rock itself. Hematite, for example, might have a red or black color, but it always leaves a red streak, so the streak test is a useful identification tool. Rub a rock across the back of a streak plate. Don't push too hard or you may damage the plate. If the rock does not leave a streak, but rather an indentation or scratch, the rock is too hard for the streak plate. In this case, scrape a nail across the rock. The nail should shave off some of the mineral’s powder so you can see its color. Observe the color left behind on the streak plate or from the mineral’s powder. Is it the same color as the rock? Some minerals like malachite are no surprise because the green rock leaves a green streak. Other minerals like fool’s gold look brassy as a rock but leave a black streak. 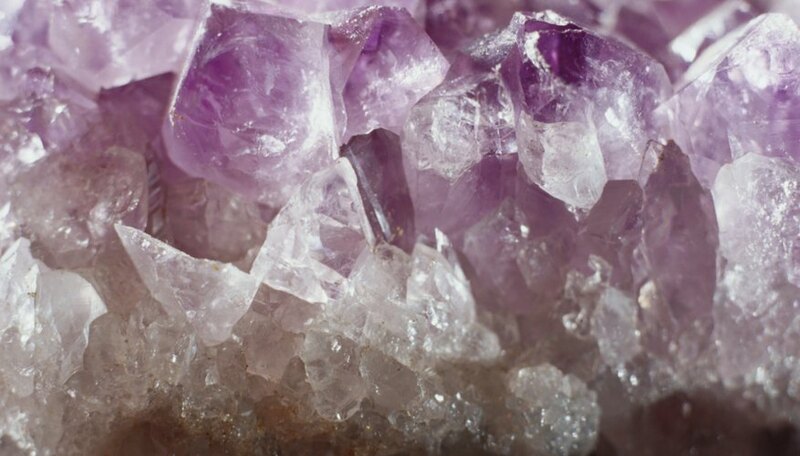 Gems like amethyst or tourmaline almost always leave a white or colorless streak. Compare your streak result to an identification chart to determine the rock’s identity. Drag a sharp edge or point of the rock against the streak plate for the best streak results. Sand down streak plates with 220 grit or higher sandpaper to re-use them. Batema, Cara. "How to Do a Streak Test With Rocks." Sciencing, https://sciencing.com/streak-test-rocks-12320276.html. 24 April 2017.